I order these every year. Makes Christmas so much easier on me with all the cooking going on. These bags are a great buy! They are cute and have excellent quality. I am very pleased. A variety of sizes for Christmas gifts. 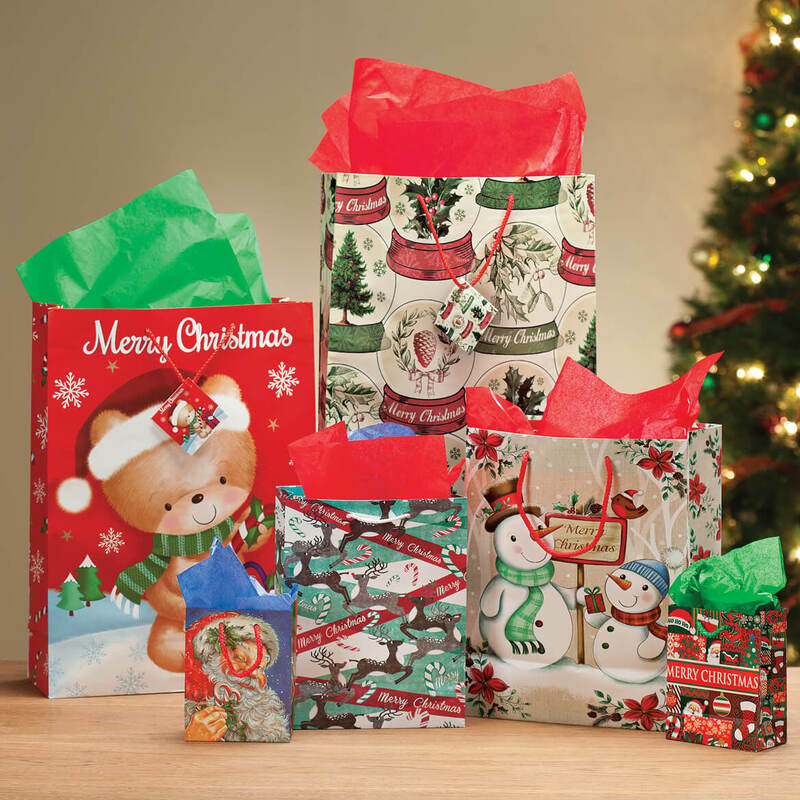 This Christmas Value set has bags for almost every size of gift. 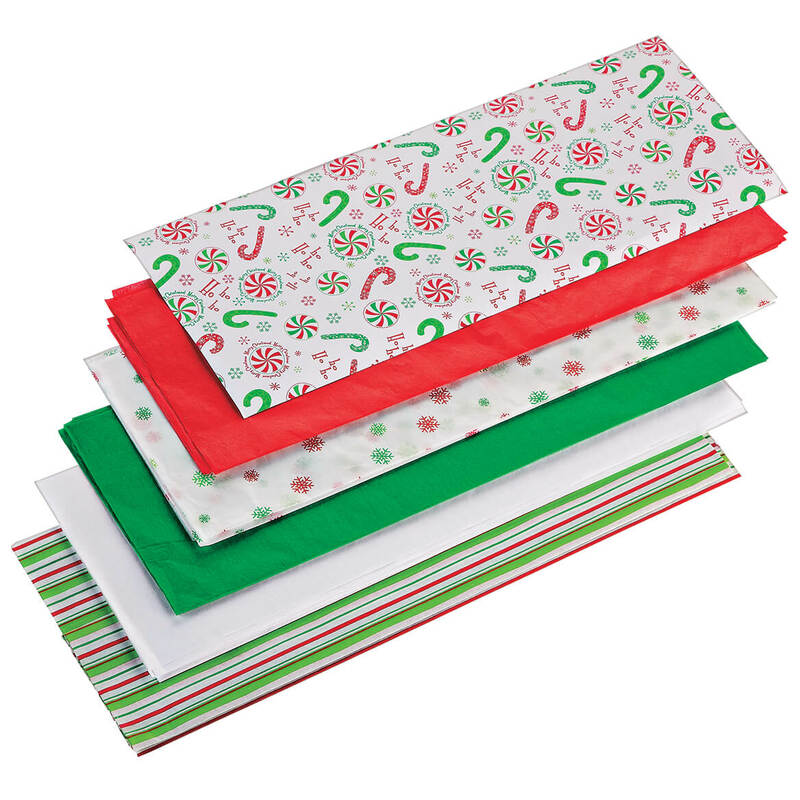 Just buy a package of the festive Christmas Tissue paper also found at Miles Kimball and you'll have your gifts ready to place under the tree quicker than that Jolly Old Elf can wink. I reluctantly gave up Christmas wrapping - too tiring for an old lady in her 80's - and adopted gift bags instead, and these are excellent value; well made and good looking too. They'll solve my gift wrap problems this year. I hope you offer more next Christmas as well. These bags will still be in good condition to reuse next year. This also means less trash from ripped wrapping paper. There is a good variety of sizes and they were all I needed to wrap my Christmas presents. 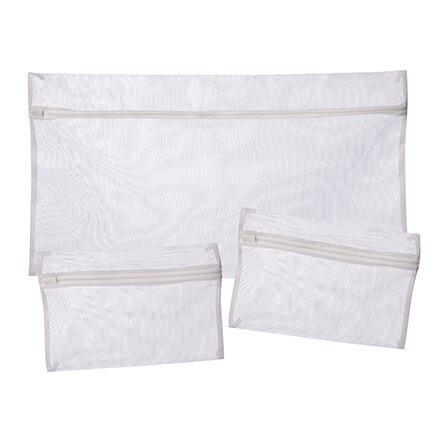 These bags are great to use - quick and easy and look great! Goes great with the Miles Kimball tissue paper, too. I like these gift bags so cute. 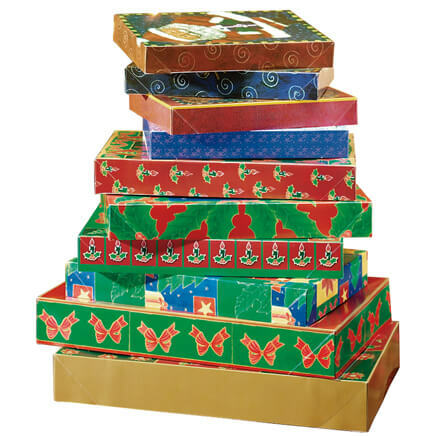 Easy to gift wrap presents in a flash. I have a good deal of experience (as a mother of 5) with wrapping, and with kids and a spouse who'd rather drop a gift in a bag than wrap a box any day. I have seen orders that appeared to be a rare bargain, but failed to note the dimensions of the largest bag, or the fact that if the bag is plastic, it's going to be really tacky, no matter whether there's tissue included or not. That said...take a look at the largest bag offered here. Now look at the price. Go to your favorite drug or variety store, and I think you'll find that for this whole set, you can only buy two of that size bag, at least if you live in an expensive part of the country, as I do. Even if yours is not a pricey area, this will still be a bargain. These bags are as nice as any you will find in a famous name-brand mall gift store. They're just a lot less expensive, and you do get duplicate designs (but they are not ALL alike). This was a terrific buy...and I did a lot of comparing w other catalog and online sources before making the purchase. Do it! The bags are perfect for Christmas gifts that I need to wrap. These make it alot easier. I really like these bags you can use them for adults or children and they hold up well. 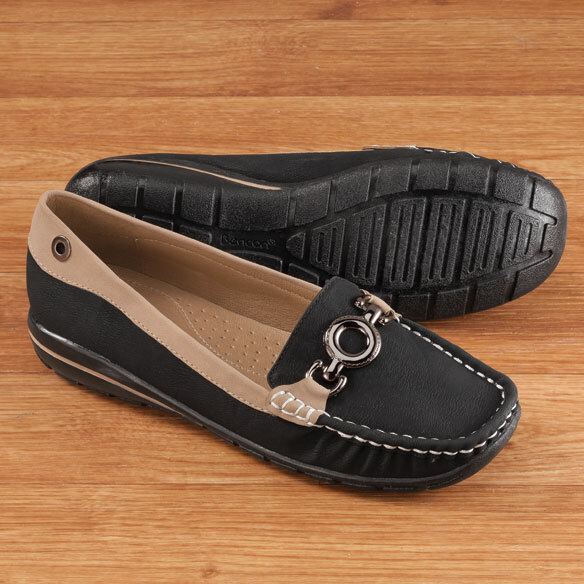 I've bought them for a couple of years now because of the different sizes and value. These bags are great for Christmas gift wrapping. They come in a variety of sizes each with a matching gift card attached. Gift bags are great for the convenience and ease with which presents are "wrapped." But, they usually are expensive. This is such a great value. The bags go well with the variety tissue paper you can also buy through Miles Kimball. I am sure I will buy these again. Perfect bags very strong and great sizes. these were beautiful & had extra & gave them to my Grandaughter she loved them. I have arthritis in my hands, these are heavensent. Beautiful shining prints, assorted sizes, what could be greater. These are cheaper than the dollar stores and nicer in many cases. As for bad smells,just open them up and let them air out or use a very small dose of air or fabric freshener in it. All non food use paper products smell from chemicles,glue and being packaged and stored for a period of time. Another thing I like is the glue is not all dried out so when put your gift inside the side dont't fall apart. THESE BAGS ARE ADORABLE AND SO HANDY TO HAVE AROUND AT CHRISTMAS AS THESE ARE DESIGNED FOR THAT USE. These bags were just what I was expecting.The price was great. [...]Very Festive for my Christmas gifts. Most useful because I don't have to wrap all my Christmas presents. It's also easier to carry since I will be transporting some of the presents this year to a different location other than my home. Extremely nice quality and really good price. I thought I would be getting the designs shown in the ad, but very satisfied with the designs received. Just right for Christmas. 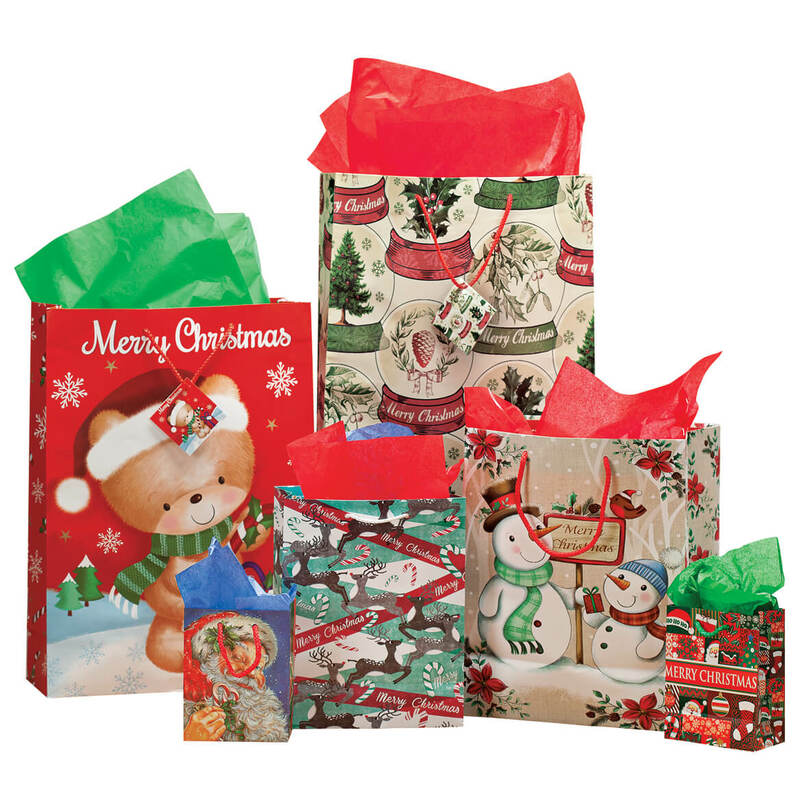 I highly recommend thhis cute and colorful christmas bags. I loved the assortment and the bright colors. My Grandchildren will love these too. These are very nice bags however be advised that they are not the ones I wanted. I ordered the bags based on the picture provided. The bags I received were "old fashion" from a "bygone era". Nothing wrong with them if that was what I ordered but I wanted the ones in the picture. I ended up giving them to a co-worker who loved them so it was all good. Use this product with colorful tissue paper and it makes wrapping christmas gifts fun and not a chore! I used these bags for Christmas. I needed something to put larger stocking stuffers into. I was disappointed by how narrow the bags were. I wasn't able to get much in them so I had to use multiple bags. They are made of pretty strong paper but be careful because they will tear around the handles if you put too much in them. My rating of 2 stars might be misleading. The bags were wonderful...but what I received were not the ones pictured. I wanted to use the mid-size bags for a children's party, and the reindeer were just perfect. What was sent in that size, were bags featuring poinsettias, not really as appropriate for younger children as the reindeer would have been. My money was refunded. I was very disappointed. They looked great but the biggest one had a strong smell, which to me (my impression only, not an expert) smelled like mold or mildew. The apparent condition and strength of the bags was great, but I couldn't use the big one with the smell and chose not to use any of the others because they were packaged together. I know Miles Kimball tries hard to do good products, so I will offer to send them back for the company to check. Based on all the great comments here, my experience is probably the exception, not the rule--maybe an off batch? Sizes of bags not as listed. Received 4 small bags. I needed 2 13x15 size for gifts and received none of this size. Why list sizes and then send different sizes? I purchased these bags for gifts I have and can not use most of them. THESE ARE SO VERY HANDY.LOVE PUTTING ITEMS IN THESE RATHER THAN WRAPPING THE OLD WAY. 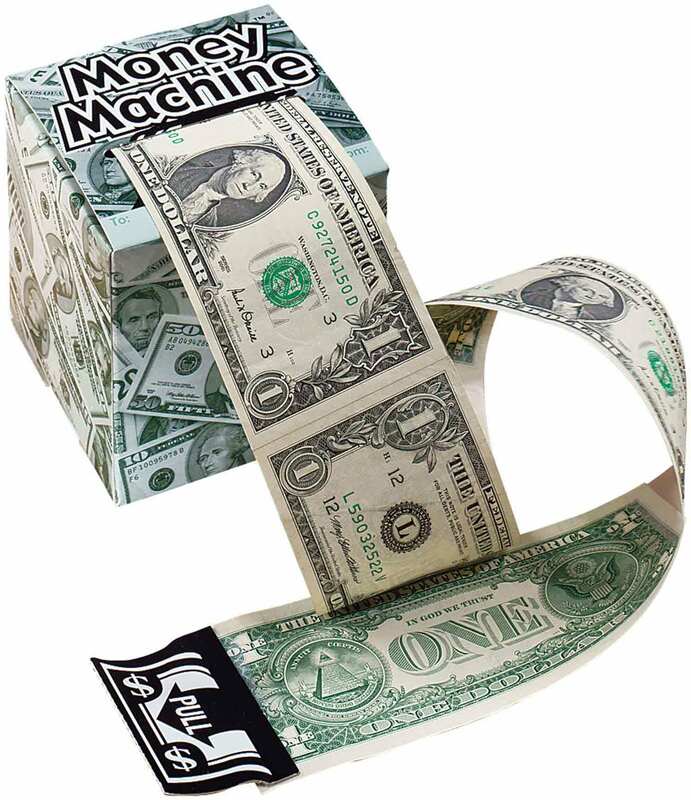 easy to use...were a good price. Can't have too many of these, always handy, good quality too, Great price!!!! Quick and easy way to give gifts. The set has a nice variety and well made. Very simple but tastefully done. The variety of sizes and the bright colors. "I brought these bags before they are great to have for Christmas"
These are great bags and they make wrapping so much easier. I am making a charitable donation to nursing home patients to make their holidays a little bit brighter! I need some Christmas Bags for Christmas Presents. These will work perfectly. Do not want to wrap the gifts. Tried to order these before hoping they are in stock now. I love the colors of the bags! They look very festive! Same reason as given on other item . Have purchased these in the past. A very good deal!! Always can use the bags. Bags are easier for odd shaped packages. I use a lot of bags and this is a good value. I have bought these every year for a few years. The bags are cute and this year they have changed the design. Yeah! The new ones are pretty, also. The bags look bright & festive, and I like the different sizes that are included.